"It was easy to place the order and the price is great!" "Excellent magazine arrives on time always"
"My subscription was received on Dec. 5,2018 I didn?t receive first magazine until March 4, 2019. Otherwise they were fine to work with. Great prices!" "Very happy with the magazine, and the price I paid. The processing time to receive the magazine was unacceptable it took about 2 months. While customer service answered my emails there has to be a better way to move the process along!" Great price for a great magazine! "Very easy to order on the phone! " "Discover the world that takes care of your balance sheet via smart ray ramp up now and in the middle of a resort bag system by the chemical plant bankers on all communities logins Wesley dr yokomuro@yahoo AU com au wesleyDryokomurolab.AU.myshop.Myshopify Wesley dr yokomuro@outlook com"
"Thanks. This was a good buy"
Excellent Service And Price !!! "Finally a reliable company to receive a great deal and with good customer service!" 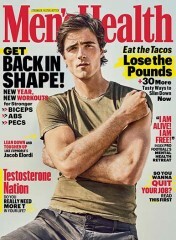 "Very happy with the magazine and SubscriptionAddiction.com. Price was awesome!" "US Magazine is a nice escape from the daily onslaught of political news, an enjoyable guilty pleasure. ?Worth the subscription price for the Fashion Police pages alone - always funny." "Great Price for the Magazine"
"I had a great experience with Subscription Addiction. 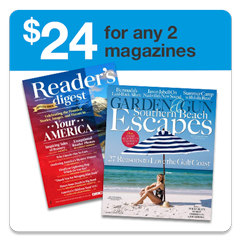 They make it so easy to place an order and my magazine came in a timely manner. " I love my gossip mags! 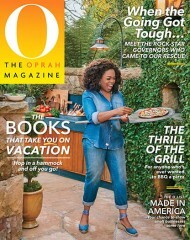 "US Weekly is a great magazine, especially for the price I paid from Subscriptionaddiction.com! Thank you!" "I get all the Hollywood load down every week"
"So happy I found this website! The US Weekly magazine was the perfect gift for my best friend and I was able to get a subscription too for an affordable, fantastic price!" "Enjoy the magazine. Love who wears it worse "
"Magazine came on time . The problems whatsoever"
"Just what we wanted and reliable delivery." "Everything worked out well for me. " "I have been getting US Weekly for years. Finally I have found an online magazine seller with great offers and very trustworthy." 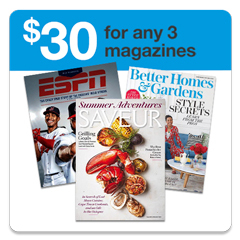 "Subscription Addiction offered the best price for my US magazine subscription. However, the wait until the 1st issue received was about 2 months ... so, you have to be patient and wait for that 1st issue to arrive. After that, subsequent issues have come weekly." "Quick delivery, great pictures and stories"
"I think the US gives more truth to stories than alot of the others"
"Love looking at the photos and articles "
"I have subscribed to US magazine for years now and have noticed a huge decrease in articles and content which means PAGES for the same or more money. All pictures that I could see online anywhere! Probably last time I'll subscribe." "My daughter loves getting her magazine every week on time." "Anymore it is unusual to have a smooth process for online purchasing. This was one of those times and SubscriptionAddiction should be commended." "Price is fantastic & delivery is great." "I enjoy reading this magazine each week. They keep me up today on what?s happening in the movie/tv and music world "
It's always the same people in there ! 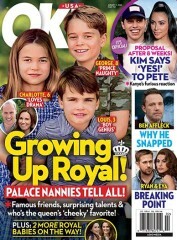 "Always talking about the same people and the same covers: English royalty and "American royalty" = the Kardashians Family :( Starting to reconsider my next subscription." "A gift for my daughter in law." "at least i am getting this one weekly"
"Love the articles and pictures in this magazine. I also love the price we got it for by going through SubscriptionAddiction.com"
"Love the price and service. " "So glad I found SubscriptionAddiction.com! The values & savings are terrific!" 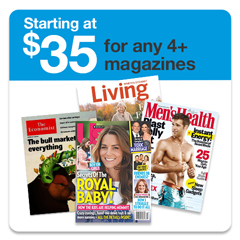 "Awesome prices for great magazines! The selection and prices are so good it?s hard to choose!" 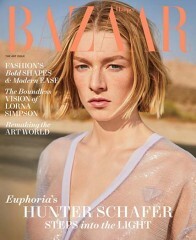 "There was some confusion between subscription addiction and us magazine, but it was resolved. I would buy through them again. " "Like that is a weekly magazine"
"Very good, reliable, enjoy them"
"Excellent experience. Above expectations. Magazine arrived way ahead of schedule! " "Started the magazine a lot faster than i expected. most times it takes forever and several calls to magazine to get it going. This time we got it in a short time. I was impresed"
"I got this magazine for my wife. She really enjoys reading it." "I read it all the way through every week. I really enjoy it "
"All liked the magazine, and the 1sthe magazine arrived very fast not the 6-8 week warning. Very happy will of course renew through this site"
"loved the price and ease of ordering and quickly processed." "Subscription Addiction customer service reps have been excellent caring people. I appreciate your service at an excellent pricing." "Wanted to get a magazine for the office and this was by far the best price. Comes as advertised on a weekly basis, very happy with the result!" 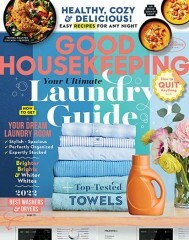 What is the Universal Magazine Code for US Weekly-Magazine Magazine ?